When it comes to waste disposal in hotels, being a responsible business and acting in a sustainable manner can make a big difference to the bottom line and how clients perceive you. 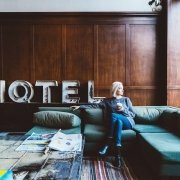 Many guests don’t just want a comfortable room, wonderful food, and a welcoming atmosphere, they also want to stay somewhere they know is taking its responsibilities seriously. Hotel chains such as Accor and Hilton are responding to increasing customer demand on these issues by ditching plastic straws, designing carbon neutral buildings, and reducing their use of printed materials. 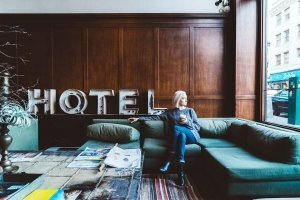 So, it’s time to examine how reviewing the options for waste disposal in hotels could help you become more sustainable and reduce your costs. What sort of waste do hotels produce? Food waste– This accounts for more than 40% of the waste produced by hotels, industry insiders say. This covers everything from food which is uneaten to waste cooking oils. The UK’s food sector produces 3,415,000 tonnes of waste every year and 1,473,000 tonnes are sent for disposal. The sheer volume of food waste from a large hotel can be difficult for staff to deal with, and many managers choose to employ specialist waste management companies to do that. Food waste can be composted and used to grow more food or used to generate energy in anaerobic digestors, rather than being sent to landfill. Electronic and electrical items– Most hotel rooms have a TV, and remote, a phone, a smartphone charger, a hairdryer, a trouser press, a kettle, lightbulbs, light fittings, batteries, and an air conditioning unit. They will need replacing and the old items will need to be dealt with under WEEE rules. Many of these items can be broken up and recycled. 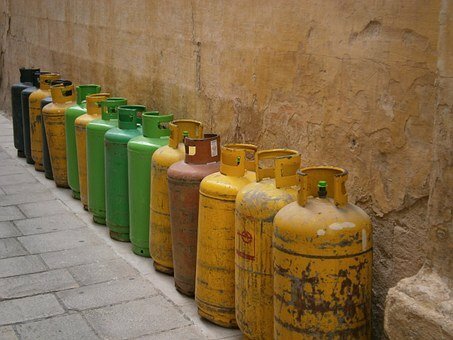 Waste heating oils– Some hotels, especially those in countryside areas, will have oil-based heating systems. Any waste heating oil will need to be dealt with properly. Waste cleaning chemicals– Many hotels buy their cleaning chemicals in bulk and any waste chemicals need to be dealt with by a waste operator with the right licences. Room refurbishment waste– Most hotels have an ongoing programme of refurbishments which generates waste such as old furniture, showers, baths, tiles, and interior walls. Sometimes, this can also mean the discovery of hazardous waste in old buildings, such as asbestos panels. This needs to be stored, transferred, and disposed of correctly according to stringent hazardous waste regulations. Bulk recycling– Many hotels create a great deal of cardboard packaging waste, and their bars and restaurants create glass, plastic, and aluminium can waste. Getting the best price for this bulk recycling can help offset the other costs of dealing with your waste. Why outsource dealing with it? Outsourcing the disposal of it frees up your time and helps save you money – you don’t have to pay someone in-house to do that. Having a licensed waste contractor means you will meet all your legal obligations. They will know how to ensure you have the right paperwork such as transfer notes, that your waste ends up with a facility licensed to deal with it, and that you have an audit trail of certifications to prove that your hotel is acting responsibly. How do you choose the right company for waste disposal in hotels? You need a company with a successful track record in hotel waste disposal, such as Inspire Waste Management. They will understand the complex regulations and will carry out disposal correctly. Choosing a company licensed for and with experience of disposing of hazardous waste, WEEE waste, construction waste, chemicals and oils, and large scale food waste will mean that all your waste disposal needs are taken care of in one place. You won’t need to outsource different aspects of your hotel waste to different companies, streamlining your processes and helping to keep costs down. A company such as Inspire Waste with experience of getting you the best price for bulk recycling could also help your hotel’s bottom line. Do you need advice on waste disposal in hotels from our Inspire Waste Management team? Contact us on 0800 002 9282.
https://inspirewaste.co.uk/wp-content/uploads/2019/03/waste-disposal-in-hotels.jpg 640 960 Inspire-admin https://inspirewaste.co.uk/wp-content/uploads/2018/10/inspire-c-waste-e1540324531728.png Inspire-admin2019-03-07 15:03:322019-03-07 15:03:32Did you know that reviewing the options for waste disposal in hotels could save you money and make your business more sustainable? Why are regulations dealing with hazardous waste so strict – and why should my business comply with them? In 2016, strict regulations came into force which ensured hazardous waste was properly categorised and dealt with in the correct manner. The responsibilities for each producer, carrier, and consignee (the end receiver) of hazardous waste were made clear. There also has to be a detailed note of how the waste was produced, a chemical and physical analysis of it, and it should be classified according to the List of Waste or European Waste Catalogue. Hazardous and non-hazardous waste should not be mixed. Discover more guidance from the UK Government here. More than 5 million tonnes of hazardous waste is produced every year in the UK and in recent years, that figure has been growing by around 8% per annum. This waste is a hazard to human health and to our environment, which is why regulations are stringent and compliance with them is so important. The risks depend on the type of waste. People could find themselves with severe injuries such as burns or frostbite or asphyxiation from carbon dioxide, for example. Sulfuric acid can cause severe burns and severe lung damage if it is inhaled, asbestos can cause cancers such as mesothelioma, argon can cause tissue damage, and incorrectly-stored LPG could cause a major explosion. There is a risk that hazardous waste could pollute the water table and have a hugely detrimental effect on the environment – from plants and trees to wildlife. The aim of the categorisation process has been to ensure waste is handled and processed correctly to reduce that risk to people and the planet. Any business which fails to comply with the rules could find itself being taken to court, facing the prospect of hefty fines and clear-up costs. Any injury to a staff member or member of the public could also result in a substantial claim for damages. Alongside the financial damage, the reputational damage to a business can also be huge. 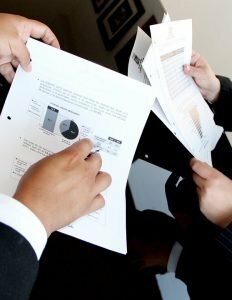 How do I choose the right waste management company for my business? Look for a company with consultants with a track record in dealing with hazardous waste, such as Inspire Waste Management. They will understand the complex rules associated with it and help you ensure your waste is correctly categorised. Do you need advice from our Inspire Waste Management team? Contact us on 0800 002 9282.
https://inspirewaste.co.uk/wp-content/uploads/2018/09/INSPIREbattery-98832__340.png 340 386 Inspire-admin https://inspirewaste.co.uk/wp-content/uploads/2018/10/inspire-c-waste-e1540324531728.png Inspire-admin2018-09-04 09:59:382018-10-23 18:55:43Why are regulations dealing with hazardous waste so strict – and why should my business comply with them? 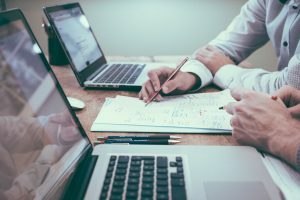 What is a waste management consultant – and why do I need one? Have you ever seen the job title of waste management consultant and wondered what they do? These consultants can help your business save money, comply with complex waste regulations, reduce pollution, and reduce the impact of the work you do on the environment. Generally, they have expert knowledge in chemistry, physics, and mechanical engineering. This knowledge is combined with a dee[p understanding of the hazardous waste legislation and how businesses must comply with it when it is stored, categorised, transported, and disposed of. They use research skills online and in the field to ensure the law is complied with and businesses are given the best options for them. A substantial part of the job is writing detailed technical reports, explaining the complex rules in clear language to businesses. They also draw up blueprints and carry out simulations to test systems and may carry out air and soil tests. Why would I need a waste management consultant? One of the key reasons to employ a waste management consultant is to help prevent spiraling project costs. Businesses which produce hazardous waste as part of their process, or which store it, must understand and comply with strict rules. An experienced waste management consultant will help businesses ensure they have the right storage facilities, the right transportation, and that they have the right waste transfer notes. Categorising hazardous waste correctly is vital to ensure you stay on the right side of the law. Your consultant will assist you in doing that and ensure that notes are filled out correctly. Businesses which fail to comply with hazardous waste regulations can be fined substantial amounts. For example in 2017, a Bristol company and two of its directors were told to pay more than £32,000 in fines and costs for illegally supplying 64,000 of tonnes hazardous waste to a development site, where workers reported getting sore, runny eyes. There was the potential risk of exposure to asbestos contained in the material, the Environment Agency said. How do you choose the right waste management consultant? Do you need advice from our Inspire Waste Management consultants? Contact us on 0800 002 9282.
https://inspirewaste.co.uk/wp-content/uploads/2018/08/INSPIREdisposal-1846033_960_720.jpg 640 960 Inspire-admin https://inspirewaste.co.uk/wp-content/uploads/2018/10/inspire-c-waste-e1540324531728.png Inspire-admin2018-08-02 12:20:122018-10-23 18:56:17What is a waste management consultant – and why do I need one? If there’s one thing everyone needs tons of at Christmas, it’s batteries. New toys, gadgets, and beauty products such as electronic toothbrushes all need so many of them these days. In fact, Britons use more than 600 million batteries every year. You must have a safe collection point for customers to return batteries, and you have to let people know how they can do this. Those batteries can be collected by a battery recycling scheme. If you transport them yourself, you must have a waste carrier certificate and follow the rules on transporting hazardous waste. Breaches in the scheme could land you with a fine of up to £5,000. Battery producers have a duty under the WEEE rules to pay or collection, treatment, recycling, and disposal of used batteries. Producers are the first people in a selling chain (including importers) to supply or sell the batteries on the UK market. 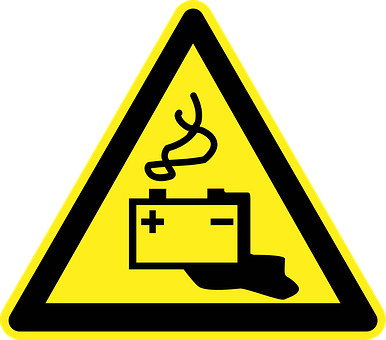 Batteries can be portable, automotive batteries for cars, vans, or lorries, or batteries for industrial use. What else should producers do? If you produce portable batteries – the type which are generally used in domestic appliances – and put more than a tonne a year on the market, you must register with a battery compliance scheme. For a fee, the scheme registers you with the correct environmental regulator and pays them £600 each for every member. The scheme sends information on the batteries you have produced to the regulator, it gets evidence on the collection, treatment, and recycling of waste batteries, and sends that to the regulator. If you produce less than a tonne a year, you must register directly with the right regulator for your part of the UK. Find out which is right for you here. You must submit the weight of batteries and heir chemistry to the regulator every year. 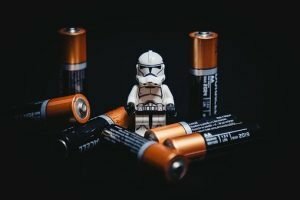 What happens when you sell products containing batteries? You’ll need to report the weight of the equipment without batteries and the weight of the batteries. You must register with the Department for Business, Energy and Industrial Strategy within 28 days of putting the first batteries on the market. You’ll need to provide the tonnage, chemistry, and the brand name of the batteries. Producers have a duty to collect waste batteries free from places such as garages and scrapyards. You have to give these people information about how to organise collection, perhaps on your website. Waste batteries must go to an approved battery treatment operator or exporter for treatment and recycling. You must register with the DBEIS within 28 days of first selling the batteries, and provide the total tonnage, chemistry, and brand name of the batteries. You have a duty to take back waste batteries and to inform customers how this can be arranged. Do you need advice on disposing of waste batteries in your business? Call Inspire Waste on 0191 6824142. Our experts are always up on the latest rule changes. 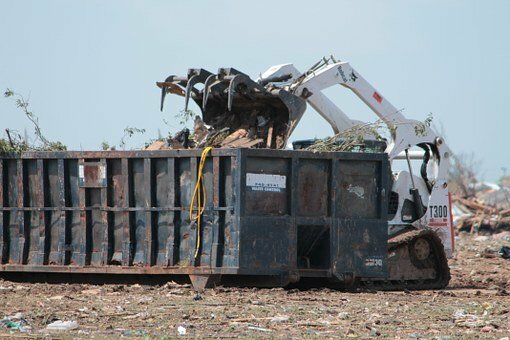 Are you planning a project which will generate waste? From expanding your premises to installing new manufacturing processes, it’s important you’re your business considers the impact and cost of waste at the outset. It helps you source bespoke waste solutions which match your budget, some of which might earn you money back. An experienced consultant has excellent contacts and the latest moves in the marketplace at their fingertips. Give them a budget and they will seek out the best options for you, tailoring the solutions you find to your business needs. In fact, you may earn money back on some waste, such as recyclables like glass, cardboard, and paper, and some oils or chemicals. It helps you comply with the law. Waste consultants are aware of the laws regarding the storage and handling of waste. For example, they know how you classify hazardous waste, how it should be stored, the consignment notes you need to move it, how a waste handling company should be certified to handle it, and how health and safety should be protected in the process. They also know which companies have the relevant ISO classifications to deal with confidential waste such as documents or old hard drives, and the potential penalties for data breaches if these matters are mishandled. Hiring an experienced waste consultant helps avoid nasty surprises from enforcement action. If you’re thinking of leasing or buying equipment to help your business process waste, a waste consultant can help you make the right choice for your circumstances. They can help you work out the potential return on any investment by looking at the cost, how much that could save on external waste handling costs, and whether your business could find a new revenue stream from selling on some waste items. Need an experienced waste consultancy service for your business? Call Inspire Waste on 0191 6824142. Bars and restaurants are gearing up for the busiest time of their year. The pre-Christmas and festive week trade can make a hospitality business for the next three months – even though it puts the owners and staff under a great deal of stress. Christmas parties and festive drinks can, however, produce a great deal of glass to be dealt with. 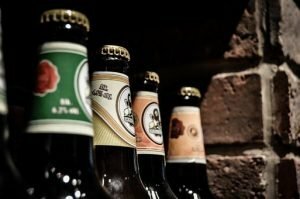 Empty beer, cider, and wine bottles must either be recycled or sent to landfill, and stored safely before they are taken away. Bars, restaurants, and pubs throw an estimated 200,000 tonnes of glass into landfill every year. Sending items to landfill is expensive for any business. 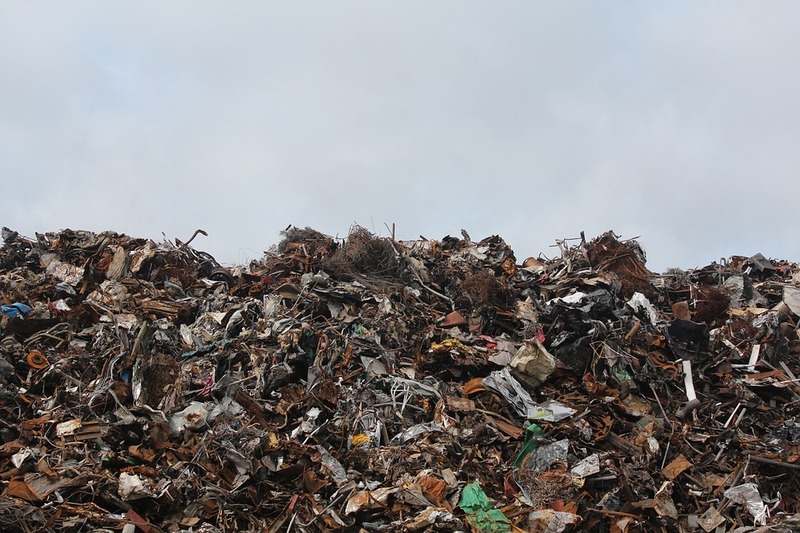 Depending on where you are in the UK, there’s an average cost of between £80 and £90 per tonne for landfill waste, including the landfill tax. Waste prevention charity WRAP says businesses can spend up to 4% of their turnover on dealing with waste. Waste must also be sorted and stored safely. Companies must also complete a transfer note for each load of waste which leaves their premises. Any waste carrier must be registered to deal with their waste, and businesses must check this. They must also check that no loads are dumped illegally. Any businesses dealing with their own waste must register was a waste carrier. Breaching these regulations could land a business a large fine. Glass is 100% recyclable. It can be reprocessed an endless number of times and retains the same excellent quality it had the first time it was made. Recycling it helps conserve fossil fuels and reduces carbon emissions – it’s more harmful to the environment to make glass from scratch. To make new glass, a furnace must use the equivalent energy of burning 250kg of wood. That is reduced when waste glass is used. It’s estimated recycling waste glass also saves 1.2 tonnes of raw materials for every furnace load. What can the owners and managers of bars, restaurants, and pubs do? Reduce your costs and help save the planet by calling in an experienced waste management company. Your staff will be busy with the Christmas rush, serving your customers and building your business. An experienced company, such as Inspire Waste Management, has all the registrations you’ll need to ensure your business stays on the right side of the law. We also do not send items directly to landfill, helping you reduce costs and reduce your impact on the environment. We provide wheelie bins for glass recycling sized from 240 litres to 1,100 litres. We can also arrange collections daily, weekly, or fortnightly. That’s perfect for a busy pub or restaurant needing to ensure waste glass bottles are stored safely and dealt with promptly. To find out about our glass recycling option, call us on 0191 6824142. Are you thinking What is GDPR? 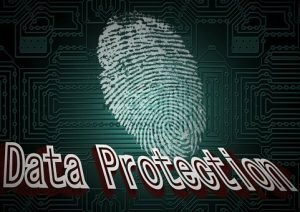 You may have seen several news stories in recent months about the potential impact of new data protection rules. GDPR – General Data Protection Regulations – come into effect across Europe in May 2018. Britain’s decision to leave the EU won’t exempt our businesses and organisations from these new rules, the UK government has confirmed. It’s the biggest change to rules about the way data is handled, processed, and held in the past 20 years. It presents a big challenge for businesses of all sizes. There will be a more rigorous regime for data protection and steeper fines of up to 4% of global turnover or €20 million for more serious breaches, whichever is the higher. 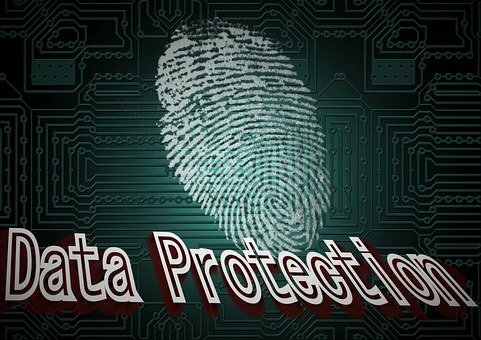 Now, the Data Protection Act has an upper limit fine of £500,000 for breaches. In the future, there is the real danger that serious a data protection breach could bankrupt a company. Individuals now have the right to be forgotten online as well as the right to know what information is held about them and to amend it. Categories of data controllers and processors are created. Processors have significantly more legal liability if there is a breach than under the current system. They must keep records of what personal data is held and how it is used. Controllers must show their contracts with processors comply with GDPR rules. The definition of personal data is expanded to include IP addresses. Special data will include biometric data which can be applied to an individual, and genetic data. The rules now also govern paper records. Data breaches where there is a risk to the rights and freedoms of individuals must be reported to the relevant authorities within 72 hours, and businesses must inform the individuals affected directly where there is a high risk. How does this affect the way you deal with waste? It’s clear that protecting data and dealing carefully with confidential records is more important than ever. Your business’ future may depend on it. It won’t be enough to have a good firewall and security system online, if the way you deal with paper records is sloppy, for example. Have systems in place to deal with confidential paper waste and waste such as old hard drives or flash drives which might contain data. Have a chain of evidence in place that items were dealt with safely. If there is a breach, you need to prove you’ve done everything you can to avoid it. Ensure anyone processing confidential waste for you understands their legal obligations under GDPR. Have systems in place for reporting breaches to the authorities or those affected. Why choose Inspire Waste Management? We have all the systems you need to handle confidential waste. Alongside secure shredding of confidential waste paper, we also offer businesses services such as hard drive shredding. We offer certificates of destruction, allowing you to prove your business has acted responsibly. All the paper and media we process is collected by BS7858-vetted staff. It is also destroyed or recycled to the BS15713 standard. That means you know your confidential waste is in safe hands. We also free up your own staff to do their core work – rather than spending hours shredding items. Need advice on getting your business ready for GDPR? Call our experts on 0191 6824142.
https://inspirewaste.co.uk/wp-content/uploads/2017/08/fingerprint-979598__340.jpg 340 481 Inspire-admin https://inspirewaste.co.uk/wp-content/uploads/2018/10/inspire-c-waste-e1540324531728.png Inspire-admin2017-08-31 14:25:452018-10-23 19:06:28What is GDPR and how will it affect my business? Getting work done on your premises over the summer? Do i need a skip licence? Are you thinking do i need a skip licence? Summer is often the prefect time for building work to business premises. The weather’s better than at other times of the year, the working days are longer and lighter, and some premises still have summer shut-down periods. If you’re having work done, you’ll need to consider how to remove builders’ waste, where to site skips, and whether they need licences. What are your local council’s rules? You can find out what you need to know by contacting them. In some areas, you will need to apply for a skip licence or permit yourself. In other areas, that will need to be done by your skip hire company. Is it totally on private land? You won’t need a licence if the skip is entirely on private land. Is it on the road? You will need permission from your local authority. Please also remember skips cannot be placed on pavements. Your council will have its own rules about the safety lights and markings you may need, and you need to comply with them. Don’t forget that you have a duty of care to road users, people in public places, and your own employees. It’s also important to check your insurance to ensure it covers the skips and work. If your waste is hazardous, such as waste containing asbestos or chemicals, you’ll need to make special arrangements for collection and disposal and understand the strict rules about moving hazardous waste. What are the penalties for failing to get skip licences? Any business which fails to get the right permits faces a fine of up to £1,000. You can apply for a skip licence here. One of the best ways to ensure you comply with the regulations is to use a reputable skip hire company such as Inspire Waste. We understand what you need – whether it’s open or closed skips, skips for general waste, soil, or other categories of waste. Looking for skip hire for business? Call our friendly team on 0191 6824142.
https://inspirewaste.co.uk/wp-content/uploads/2017/07/moore-112934__340.jpg 340 510 Inspire-admin https://inspirewaste.co.uk/wp-content/uploads/2018/10/inspire-c-waste-e1540324531728.png Inspire-admin2017-07-20 11:09:562019-01-21 16:51:56Getting work done on your premises over the summer? Do i need a skip licence? 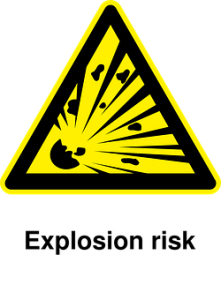 Manufacturers – have you correctly classified your hazardous waste? If your business produces hazardous waste, it’s vital that you know how to classify it correctly. How waste is classified decides how it must be dealt with and incorrect classification could lead to prosecution. You will need a permit to dispose of your waste, and you’ll need to classify it correctly before that permit is issued. The company you choose to deal with your waste will also need to know the classification, to ensure they have the capacity and equipment to move it or process it. This waste is harmful to the environment or humans. It may be chemicals, batteries, asbestos, solvents, oils, or pesticides. As a business, you have a legal duty of care to ensure the hazardous waste you produce or deal with does not cause harm to people or the environment. How do you classify hazardous waste? Firstly, check the government’s waste classification guidance. You can find that here. It will give you a waste classification code (also called a List of Waste or European Waste Catalogue code) for your waste. Generally, a code with an asterisk next to it is hazardous. Some waste will be a mixture of hazardous and non-hazardous materials. If your manufacturing process produces packaging waste, see the government’s guide on that here. For electronic waste, see this guide, and for oil waste, check the codes here. To comply with the law, you’ll need to ensure different hazardous wastes in different classifications and hazardous and non-hazardous wastes are not mixed. You will usually need more than one code if you have two types of hazardous waste. Dealing with hazardous waste is a complex undertaking. There are a great many rules and there is huge potential to fall foul of the law. An experienced company, such as Inspire Waste Management, will help you through the process. We ensure our clients across the UK are fully compliant with the law and that all the contractors used have the correct certifications and are audited properly. Need some advice on hazardous waste disposal? Call our friendly team on 0191 6824142.
https://inspirewaste.co.uk/wp-content/uploads/2017/06/hazardous-waste.jpeg 340 453 Inspire-admin https://inspirewaste.co.uk/wp-content/uploads/2018/10/inspire-c-waste-e1540324531728.png Inspire-admin2017-06-19 11:31:142018-10-23 19:06:01Manufacturers – have you correctly classified your hazardous waste? Would you throw a piece of paper containing your customers’ bank details and addresses into the general waste? Would you put papers with your employees’ national insurance numbers into an ordinary rubbish bin? 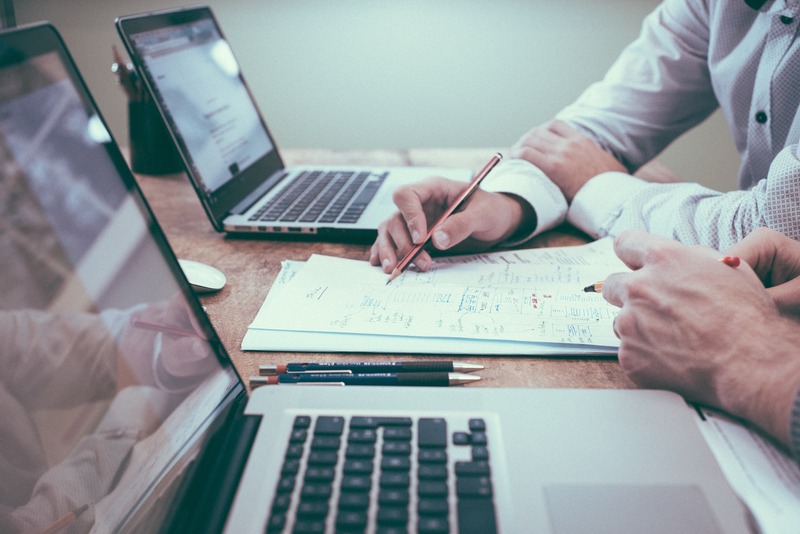 Every business owner knows they must comply with the Data Protection Act when it comes to dealing with these details – and if they don’t, they could face a stiff fine. So, when it comes to recycling old computers and smartphones, why would you not ensure the hard drive is completely wiped? Most people wrongly believe that deleting files from your desktop or laptop computers will mean they cannot be retrieved. The files are still on those devices somewhere. They’re just hidden from view. All you’ve done by deleting these items is remove the site map to find them. Data recovery software can find them and the information contained in them. This information could fall into the hands of unscrupulous people who could use it to defraud or steal from your customers and employees. Or, they could be out to ruin the reputation of your business. The financial cost could be substantial. What’s the importance of wiping your hard drives? It’s of vital importance. What’s the difference when I erase a file? This is when a special program permanently wipes or scrubs a file. For one file, you’d tend to shred it – using a program which overwrites the contents with binary code. When you wipe a whole hard drive, that means you erase everything on it and anything you have deleted previously. Don’t be fooled into thinking a factory reset or a reformatting will do the trick. They tend to be the equivalent of deleting files, rather than erasing them. How can I wipe the hard drive securely? There are products like SafeErase and DBan which will wipe your PC hard drive with one wipe. Anyone using the computer afterwards will have to install all of their own software as a result. On Macs with mechanical hard drives, you can put it into Recovery Mode then use Disk Utility – an application on all Macs – to wipe the hard drive. It can be trickier to wipe the hard drive on smartphones. A factory reset won’t wipe the drives on Android phones and tablets unless you encrypt the storage first, then erase it and restore the factory settings. Should I call in the experts? Yes – if you want your sensitive information to be dealt with securely, hire a company like Inspire Waste Management with a long track record in dealing with top companies and their confidential waste. Our expert staff understand our clients’ need to be legally compliant and to deal with sensitive information in a secure way.